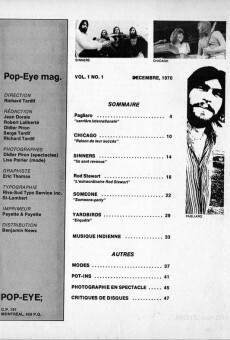 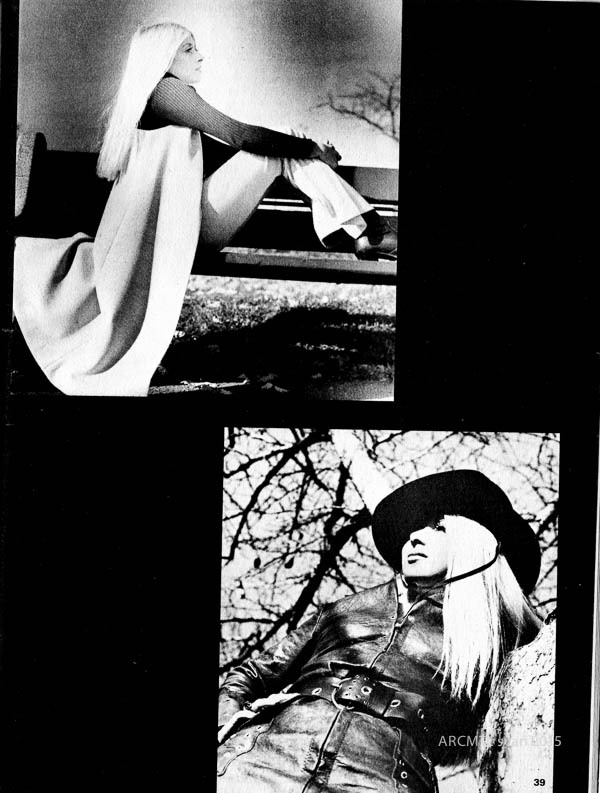 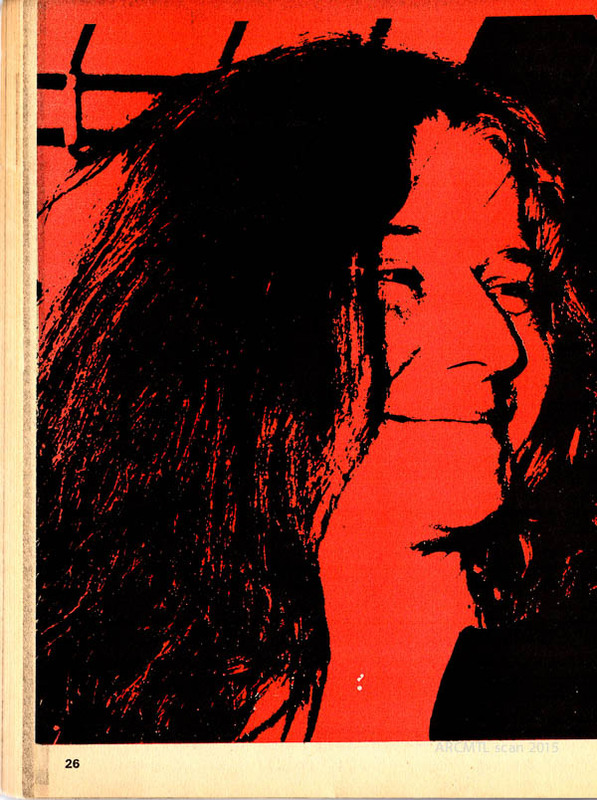 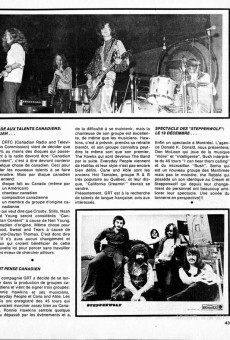 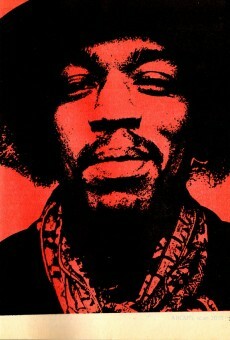 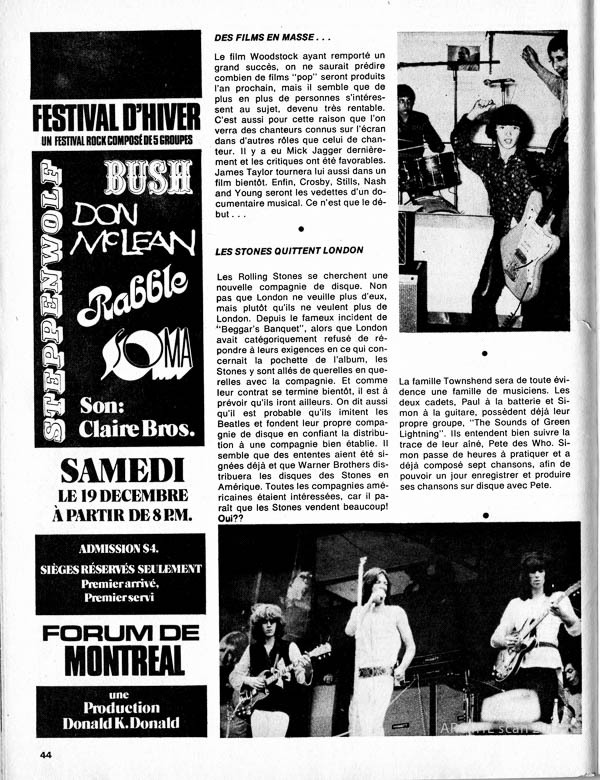 Pop Eye was a short-lived music magazine published in late 1970 in Montreal by one Richard Tardif. 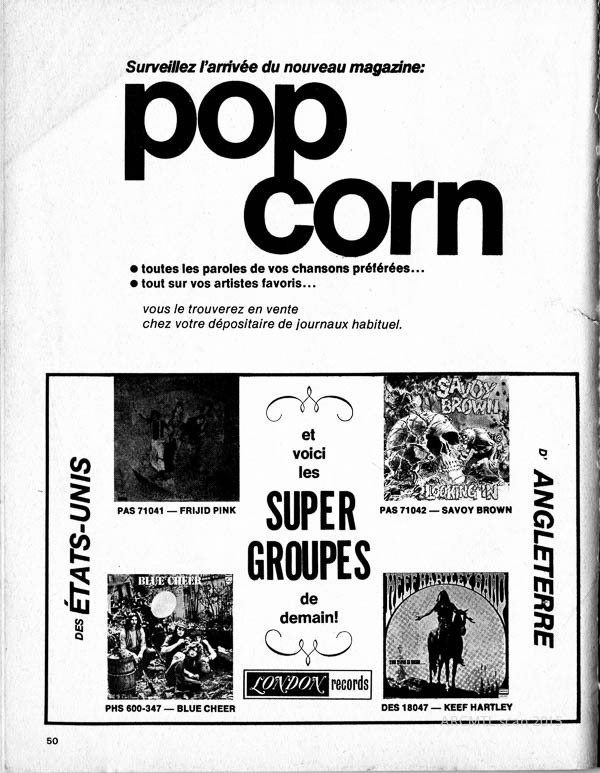 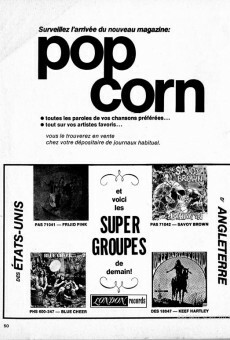 It isn’t clear whether more than one issue was published, or whether the Pop Corn music and lyrics magazine advertised in this issue ever saw the light of day. 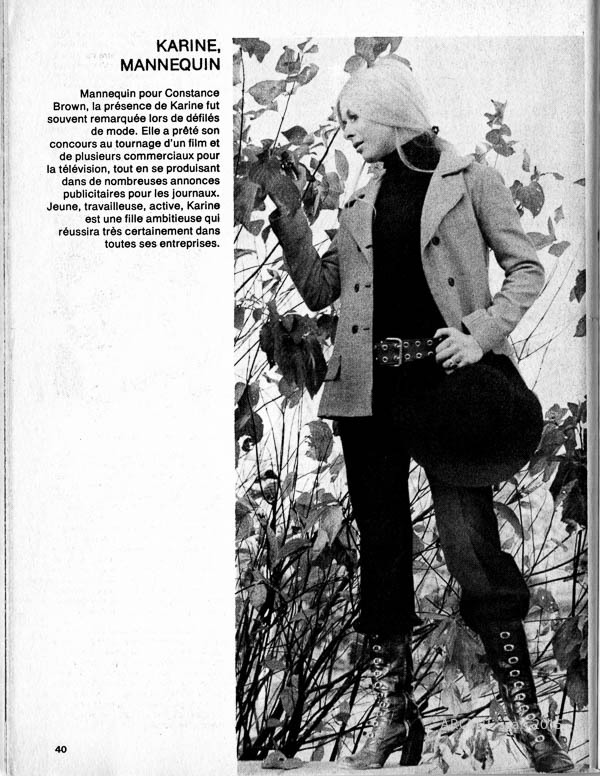 It certainly appeared to have made its way into the world through the main periodicals distributor of the time, Benjamin News. 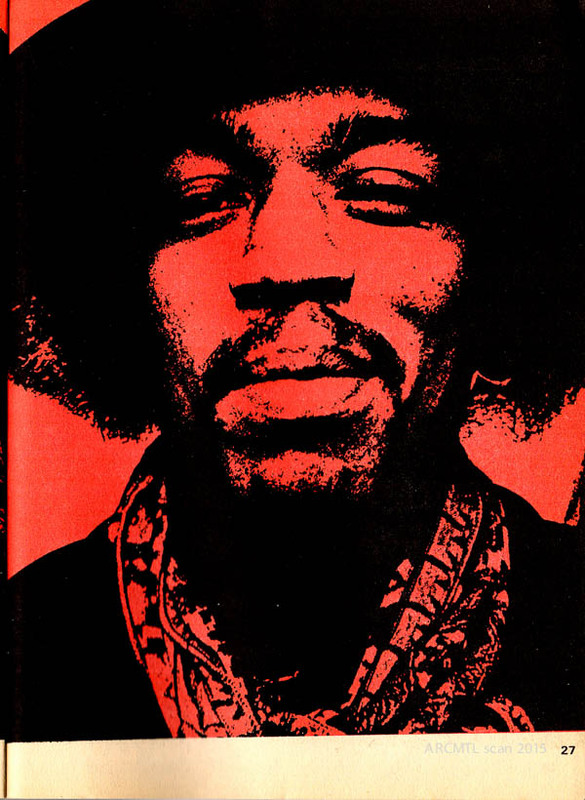 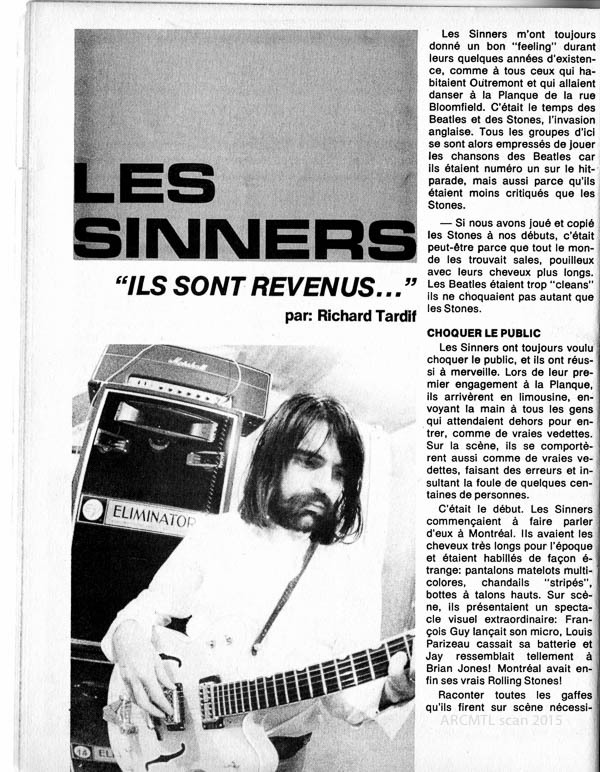 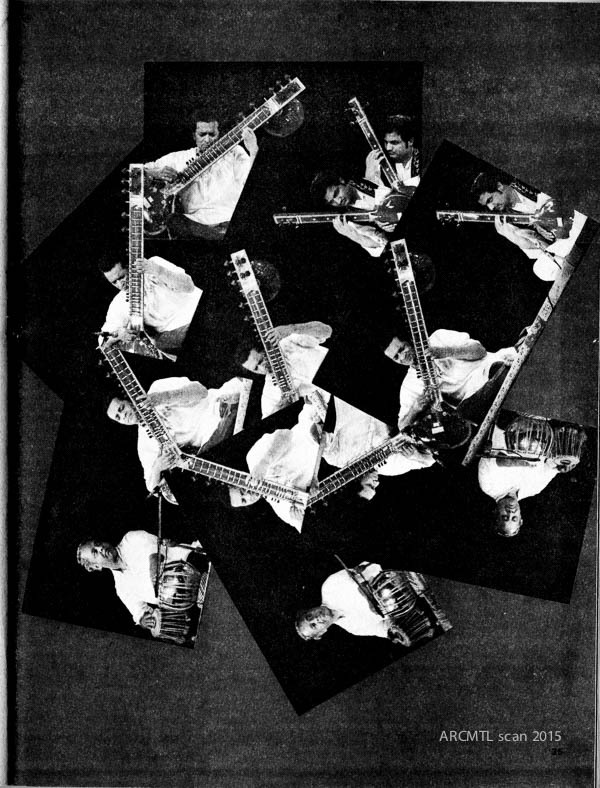 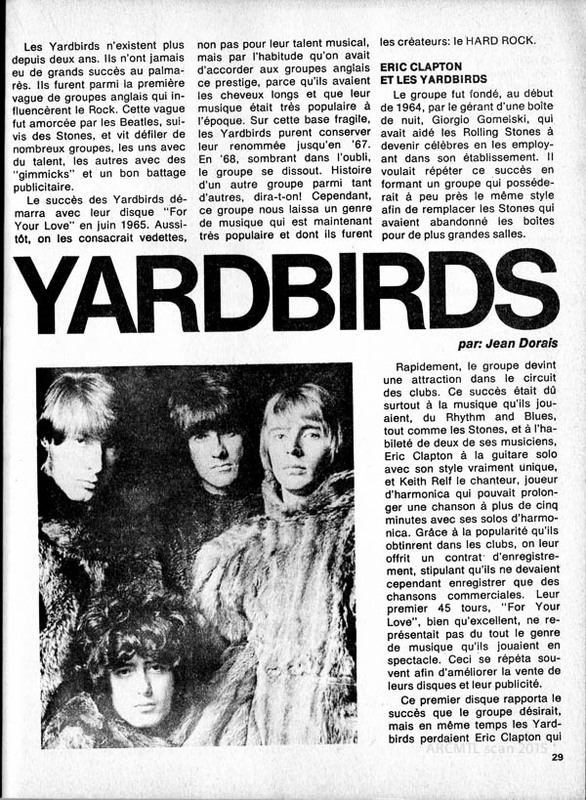 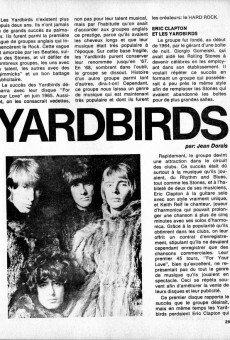 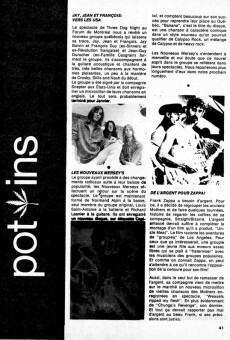 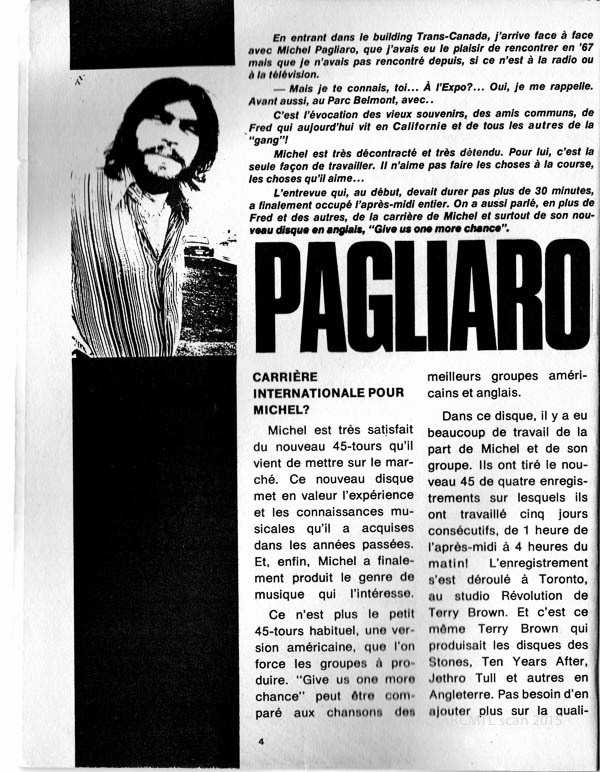 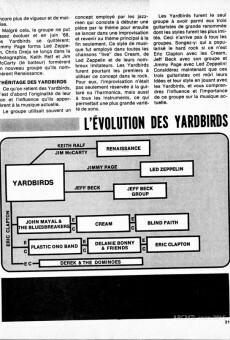 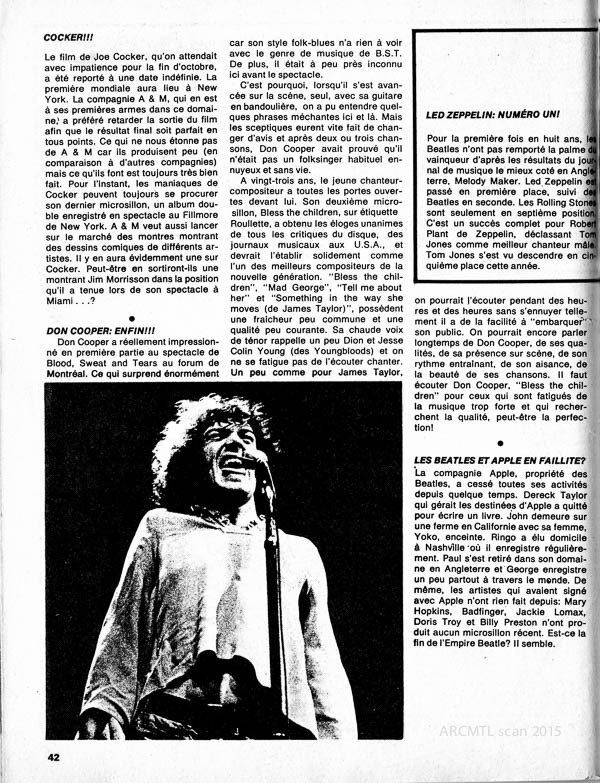 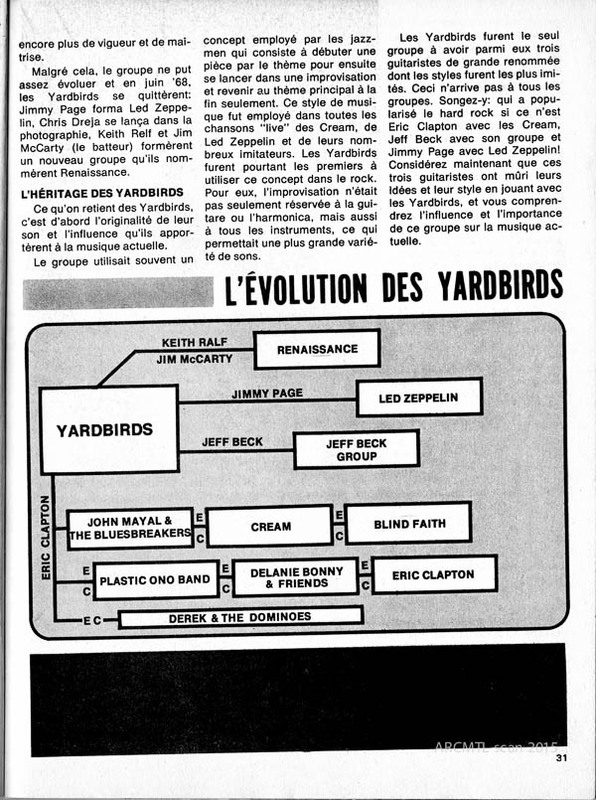 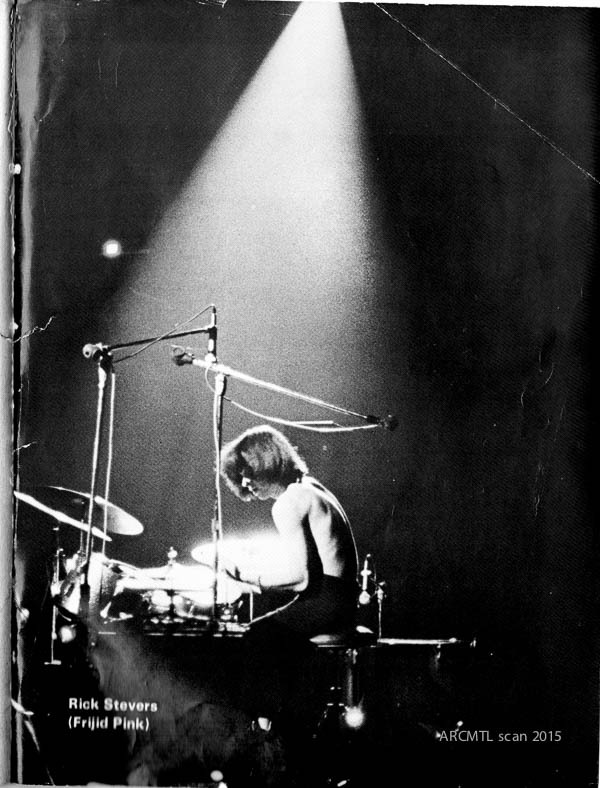 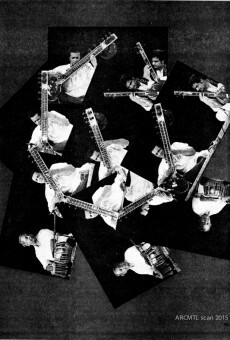 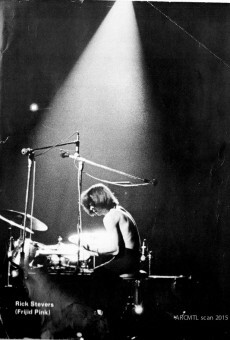 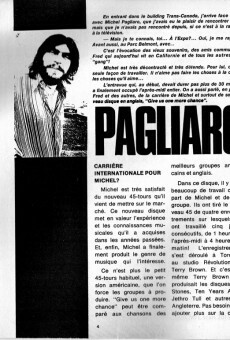 With its cover story on Michel Pagliaro and extensive features on US bands such as the Yardbirds, Joe Cocker, Rod Stewart and Chicago, the magazine is a fairly typical mix of content for a music magazine of the time. 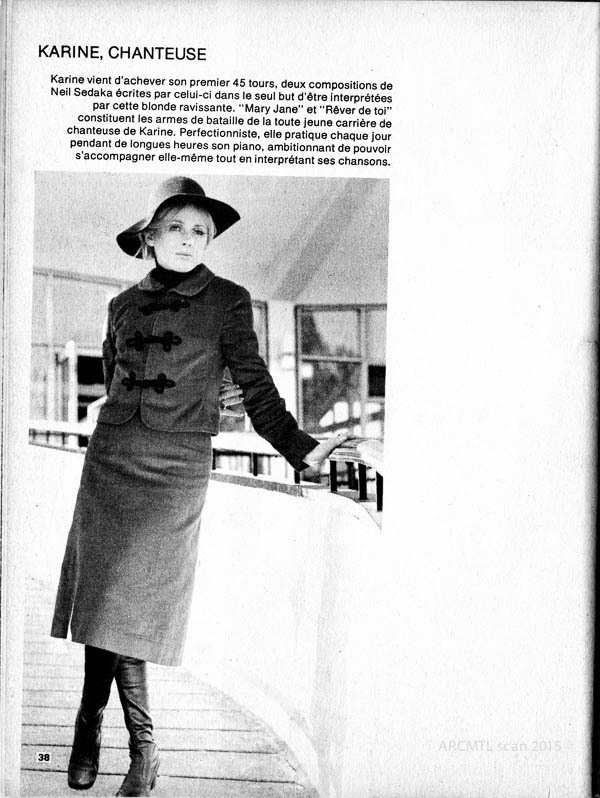 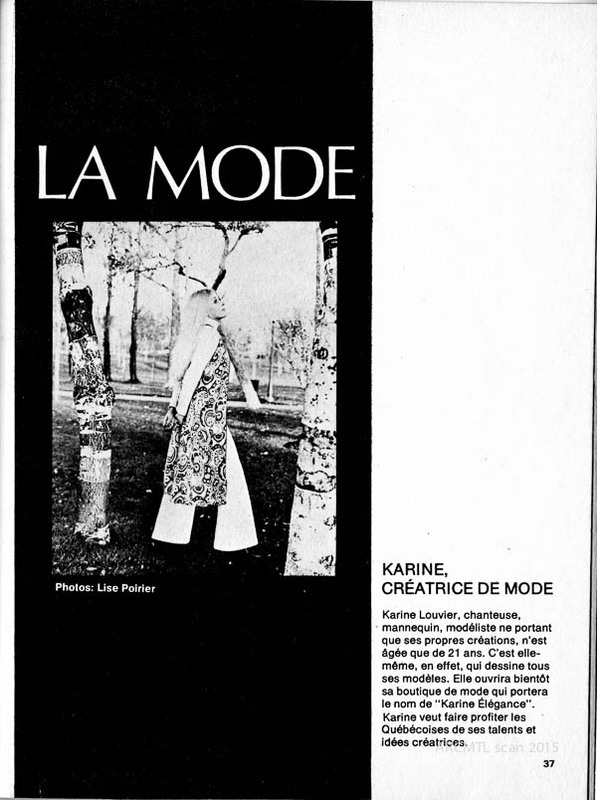 The fashion content and ads imply that the publishers planned for this to be a commercial venture, as opposed to the more community-minded publications such as Mainmise or Logos which added a dose of underground/ alternative politics and ideas to their mix. 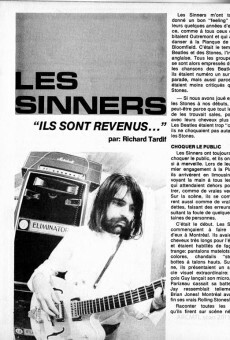 Alas, aside from two pieces on local acts Someone and Sinners, there isn’t much else besides generic rock journalism here. 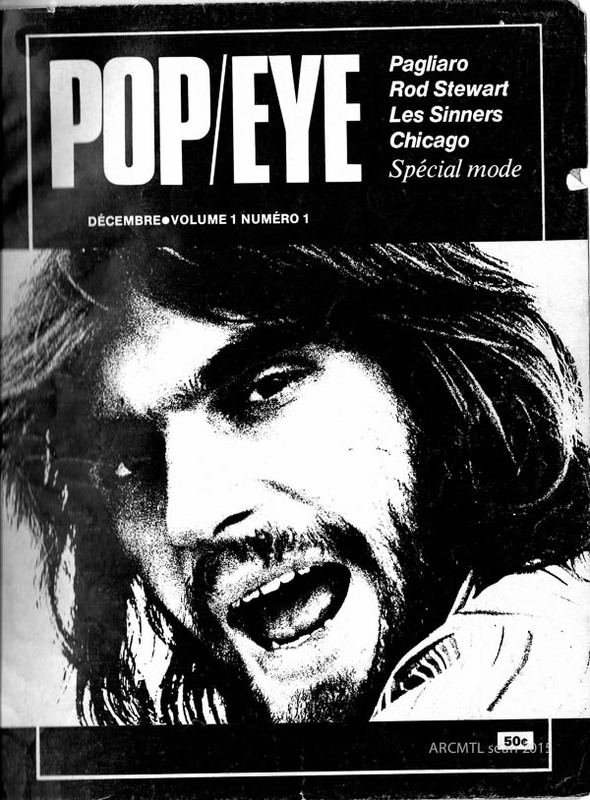 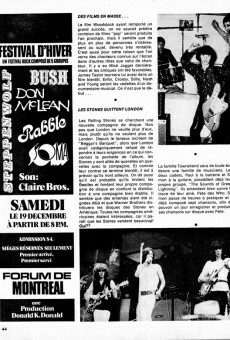 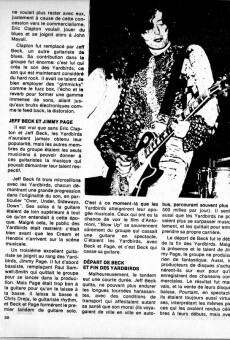 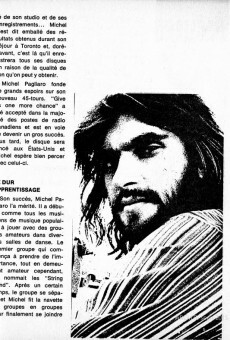 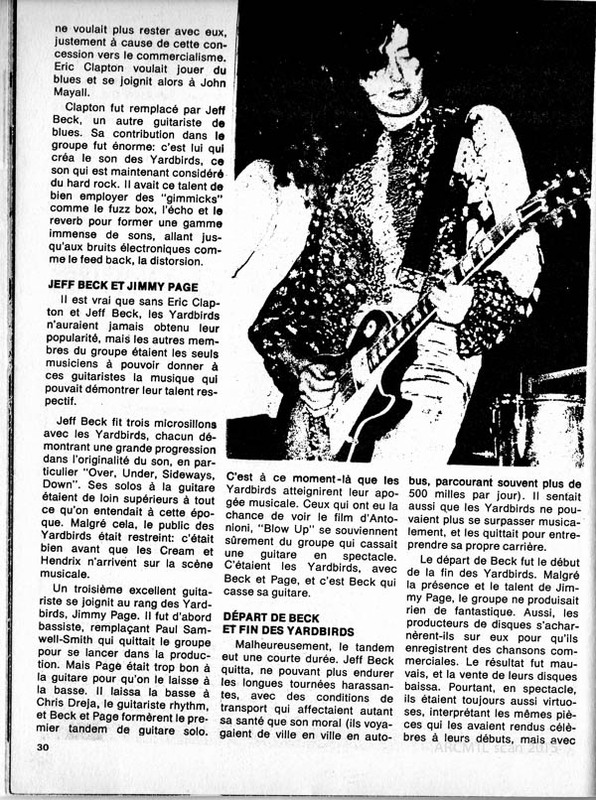 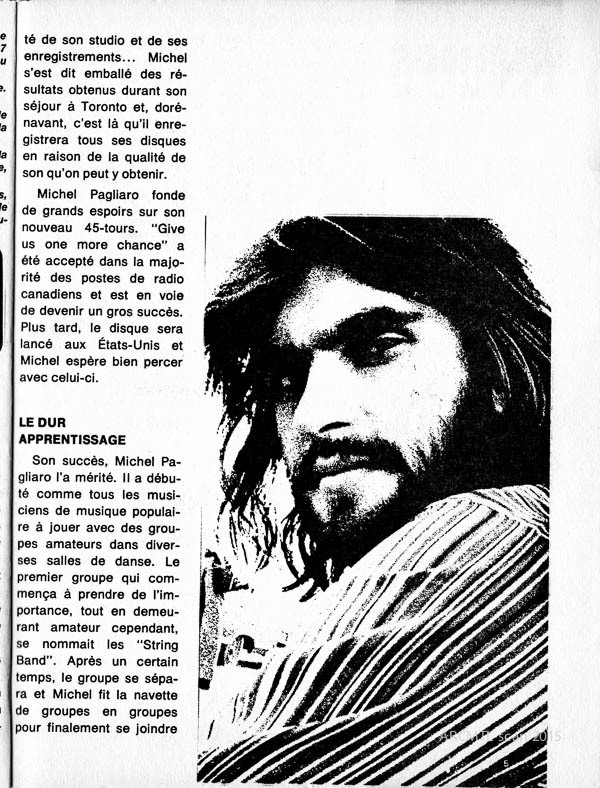 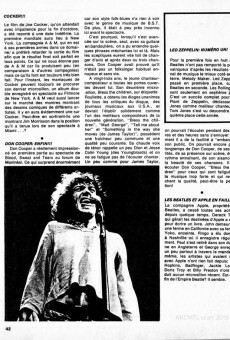 The legendary magazine Mainmise soon outdid Pop Eye as far as covering the Quebec and Montreal underground and music scenes, and more solidly commercial tabloids and magazines outdid Pop Eye in their coverage of mainstream rock. 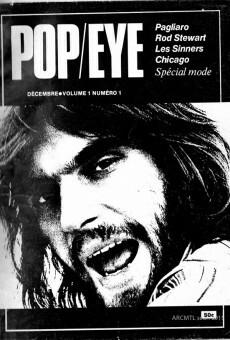 The magazine remains firmly of its time, and if anybody out there knows what came of the publisher or writers, please contact us, we’d love to find out more! 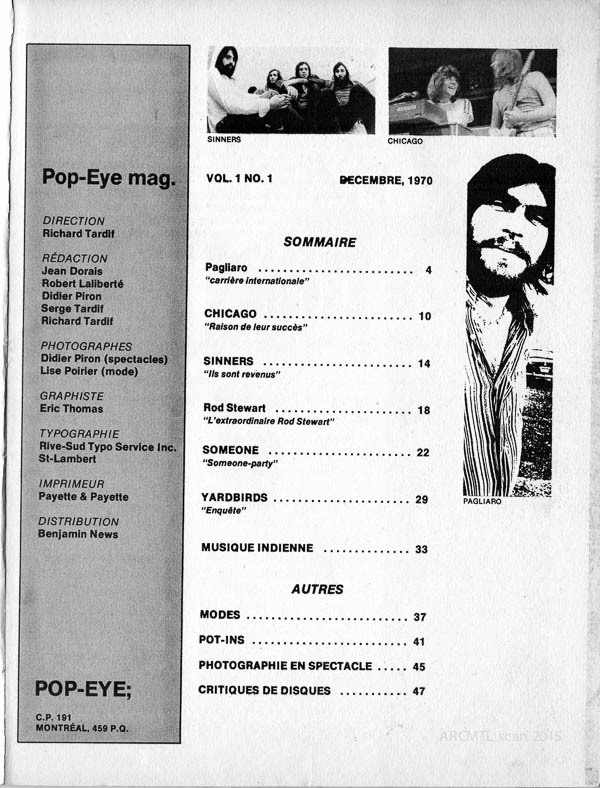 Here is a low-resolution PDF of the entire issue: Pop Eye Vol. 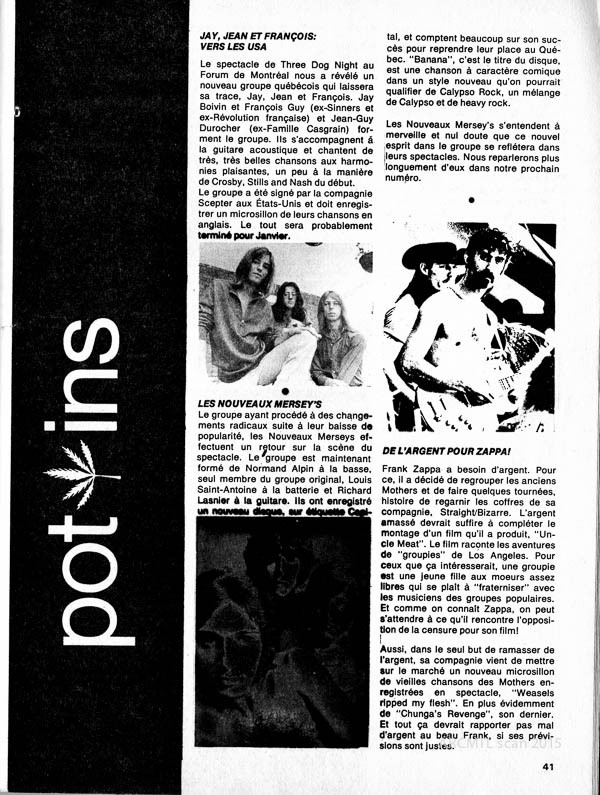 1 No. 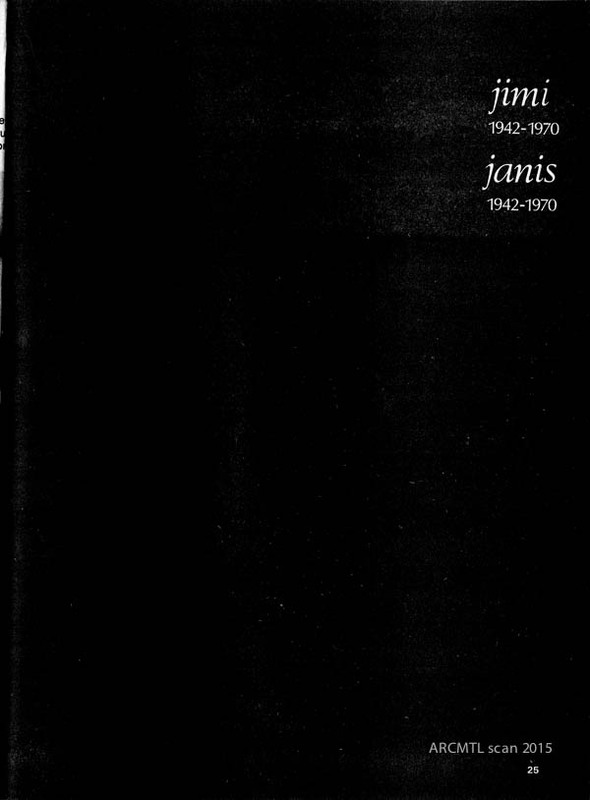 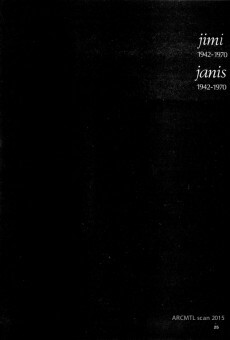 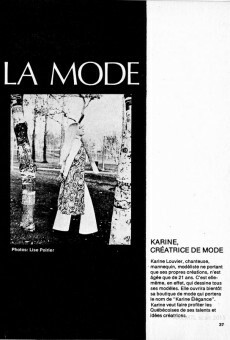 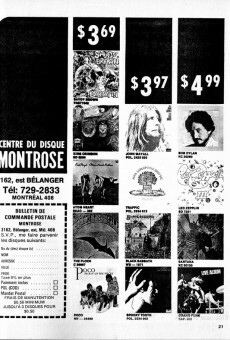 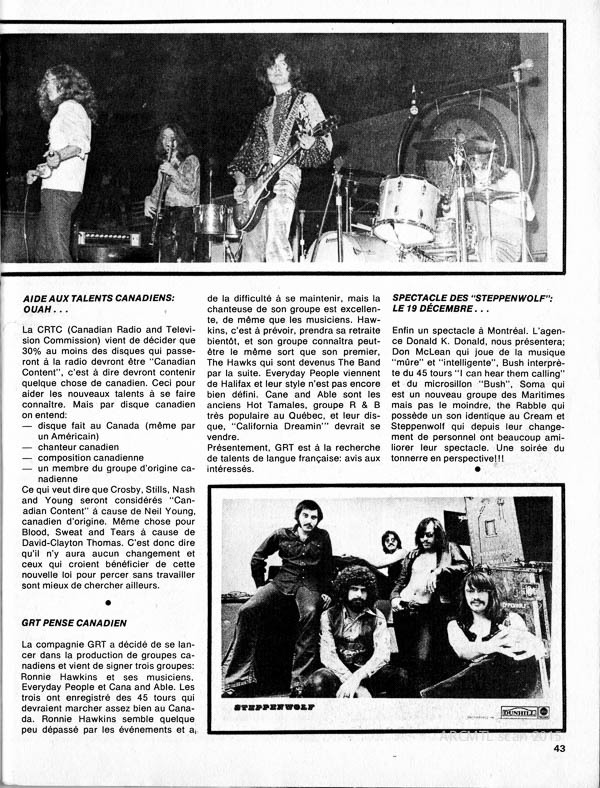 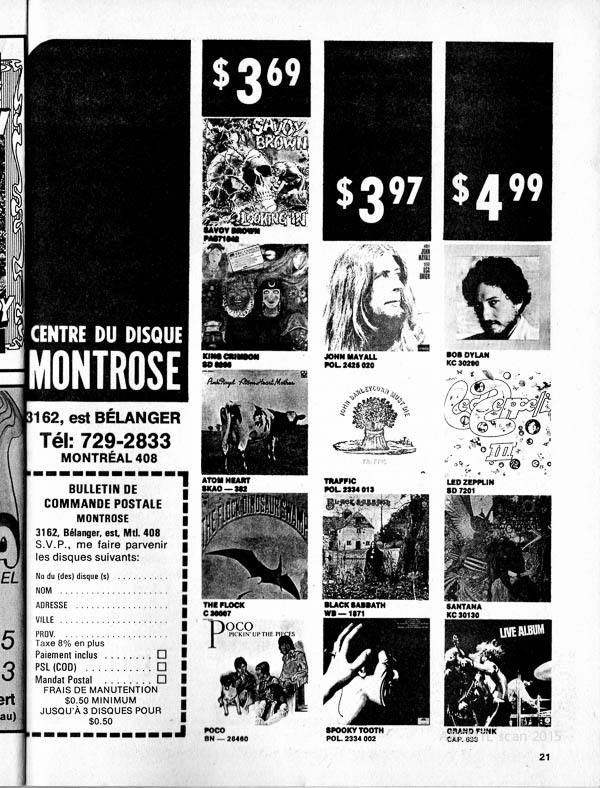 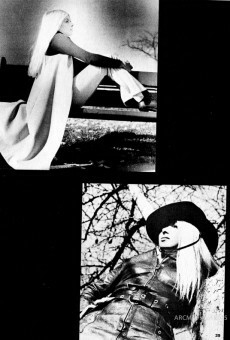 1, déc 1970, as well as a gallery of selected pages. 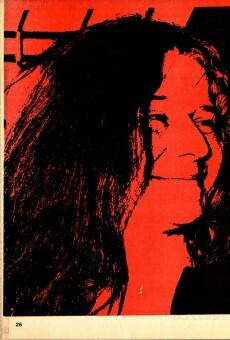 Special thanks to Alex Taylor for lending us his copy.